I spoke with Dr. Rubin Naiman on treating insomnia naturally, and looking at the meaning of sleep, dreams, sleep medications, and the effects of modern lifestyle on sleeping. Sounds like a pretty normal conversation so far, right? Dr. Naiman has a unique background, and his approach to sleep may fascinate you. For example, our conversation on Sleep and Nutrition was NOT about vitamins, food or diet, but about how our energies are fed and managed. We are, as a culture, in hyperarousal. We are overfed and overenergized with thinking, worrying, planning and controlling. How can we enter the beloved portals of sleep when we’re unable or unwilling to let this energy dissipate? Some of the captivating topics covered in this Interview…. What three questions did Dr. Naiman’s mother ask whenever anyone was feeling badly? (Hint: eating, pooping and sleeping come into play here). And how do we apply these questions to modern life? Dr, Naiman speaks of “eating” as the consuming of energies. Food, TV, oxygen, work, play. If we overfeed on these energies, and can’t use them or release them, how can we sleep? What if we get stuck trying to treat insomnia naturally? If we consider sleep as mere unconsciousness, then sleep medications seem like an easy answer. But sleep is not “passing out”. It’s an active journey that Dr. Naiman explores with passion and humor. Sleep meds make us pass out – it’s not really sleep or proper dreaming. What are our three areas of consciousness? Waking, sleeping and dreaming…. As independent states of being, we can mix them up 24 hours a day. Yes, we can live at the edge of waking, sleeping and dreaming – an enviable state we see in cats and dogs! How do we process emotions in our dreams? Is sleep deprivation the #1 most overlooked cause of depression? Dr. Naiman’s new book “Hush: A Book of Bedtime Contemplations” has 100 short passages we can snuggle into before bedtime. They help us fall in love with sleep, and learn to surrender to the Night. Reading one of these passages several times in the evening helps us make that switch from day to night and prepare body and mind to surrender to peace. We speak about overbreathing and the Buteyko Breathing Method. Here’s an earlier interview I had with one of the world’s leading Buteyko Breathing coaches, Patrick McKeown for more on this wonderful method of calming and improving our racing minds and bodies. Dr. Naiman and I discuss melatonin, Passion Flower, Valerian and Hops and how to use them. I sell a lot of Passion Flower in my clinic, and you can buy it here or here in my online store. I also recommend this Systemic Formulas N3 – Relaxa as natural support for sleep, anxiety and pain and this Systemic Formulas DReM Sleep Aid for insomnia. Rubin also suggests diffused aromatherapy oils such as Jasmine and Lavender, and the supplement Theanine. There’s much more in our talk, so tune in on my iTunes page or from the link at the bottom of this page. 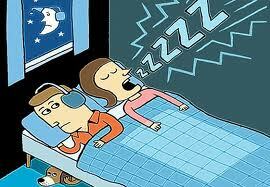 Visit my website Podcast page anytime for other podcasts and blog posts on Sleep and Anxiety. 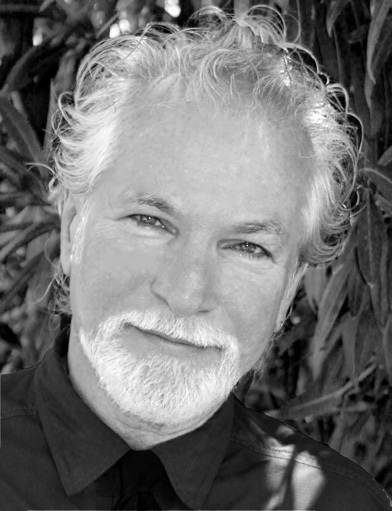 Dr. Naiman is a noted sleep and dreams researcher, a professor at the University of Arizona’s Center For Integrative Medicine, and an author of many books and CD’s such as “Hush”, “The Yoga of Sleep“, and “Falling in Love with Sleep”. Reach him for Sleep Consults and Sleep Retreats at www.drnaiman.com.